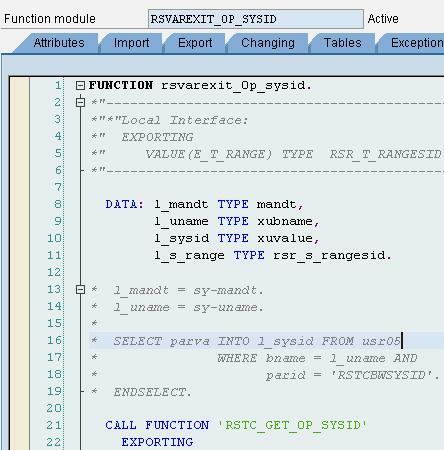 Martin Maruskin blog (something about SAP): Where to see code for Business Content SAP exit variable? Where to see code for Business Content SAP exit variable? 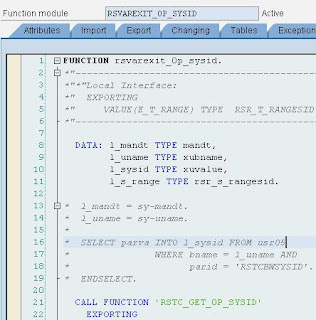 SAP exit variable are type of BEx variables processed during BEx Query runtime by replacement path predefined in SAP exit. SAP exit is like customer exit it is just delivered by standard SAP BW Business Content. 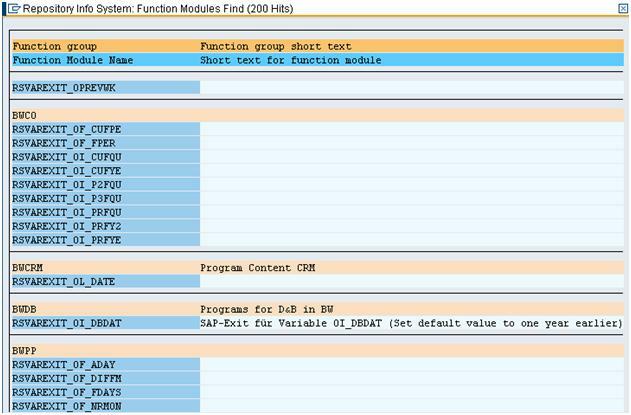 Comparison to customer exit is right since there is also ABAP code which is in particular performing the replacement of variable value. 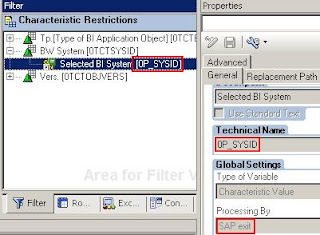 Older business content variables (e.g. 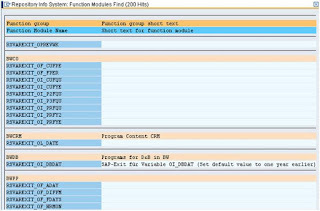 0CWD) are coded in FM RREX_VARIABLE_EXIT.